Visit London business tourism director Tracy Halliwell said a conference at the EIBTM show in Barcelona that the £11bn private and public investment would attract and benefit visitors to London. "Some of these developments have been spurred on by the 2012 Olympic Games and others were happening anyway," said Halliwell. 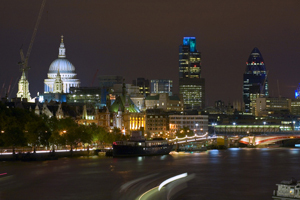 Visit London projects that 13,300 new hotel rooms will be available in London by 2012.